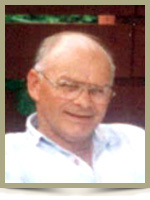 Huskins, Archie Elmer, 70, of Liverpool, Queens County, passed away on Sunday, August 19th, 2012, in the Queens General Hospital, Liverpool. He was a loving husband, father and grandfather. Archie was an auto mechanic all of his life and had a love for Chrysler products. He enjoyed hunting, fishing and spending time at the Camp with his family and his old cronies. He was an honorary member of the Liverpool Kinsmen club for many years. He is survived by his loving wife Elizabeth “Betty Lou”; daughter Heidi (Richard) Weagle, of Liverpool; sons Kerwin (Kim), of Brooklyn, Devin (Melody Whynot), of Hunts Point; grandchildren Griffen, Garrett, Greyden, Karleigh, Kiefer, Josey; sisters Harriet, Agatha, both of Ontario; brothers Warren, of Port Mouton, Eric (Carol), of Brooklyn. He was predeceased by brothers Bruce, George and Arnold. So sorry to hear of your loss. Thinking of you and sending our sincere sympathy at this time. We have such good memories of Archie and all the fun we all had as parents, trekking around after our boys and their hockey games. He was a real family man and a good friend and will certainly be missed. So sorry to hear the news. Thinking about your family during this sad time. I am sure my Dad, “Boatie” secretly wished for car trouble, just so he could go hang out with Archie in the garage. So sorry about your loss. It was a pleasure getting to know Archie up at the shop. Our thoughts and prayers are with your entire family. Sorry to hear of Archie passing your in my thoughts at this sad time. We were so sorry to hear of Archie’s passing. Please know that our thoughts are with you all at this sad time. Take care of each other. Heidi and family so sorry to hear about your dads passing ,we will be thinking of your whole family on this sad day…………………. Dear Betty Lou, Heidi, Kerwin and Devin. We are so sorry to hear of your loss. Archie sure was dedicated to his family and I’m sure you will have a void in your lives. Stay strong. Our thoughts and prayers are with you all at this very sad time. God Bless. will not get into our vehicles without remembering his care of them. We were very sad to hear of Archie’s passing.We are thinking of you guys in your time of sorrow.Please know that Archie will be missed. BettyLou and family. We are very sorry to hear of Archie’s passing. He was a great person and will be missed by you all. Our thoughts and prayers are with you all. God Bless. Sorry to hear of Archie’s passing. He was well liked and will be missed by all that knew him. Sorry for loss . Archie was a great man and will be missed by everyone . So sorry to hear of your loss, my thoughts are with you at this difficult time. We are so sorry to hear of Archie’s passing. He was a wonderful person. Our thoughts and prayers are with you at this sad time. We are so sorry to hear of Archie’s passing. Our thoughts and prayers are with you at this most difficult time. We know how difficult this is for you all. Please know that our prayers are with you, as they have been for the past several weeks. Take time to mourn and be strong for those who still need you to be, and smile when you remember all the things that made Archie a special husband, father, and grandfather. Our thoughts and prayers go out to you at this sad time. We have so many wonderful, fun-filled memories of Archie. He was a great man – husband, father and grandfather. Take comfort in knowing many share your sorry. So very sorry to hear of Archie’s passing. Please know you are all in my thoughts and prayers at this most difficult time. God Bless. Betty Lou, Heidi, Kerwin, Devin, and families: We were very sorry to hear about Archie. We will remember all the good times around the rink. Our thoughts and our prayers are with your family. So very sorry to hear of Archie’s passing. You and your family are in my prayers. Sorry to hear of the loss to the family and friends that Archie left behind . Myself I will always think of Archie when some one remarks Dodge Man . Thinking of you all at this time of sorrow God Bless . Dennis L.
We are so sorry to hear of Archie’s passing.He was a great person without a doubt.He will certainly be missed by everyone who had the opportunity to know him.Our thoughts are with you all at this time. My thoughts and prayers and with you all and your families. He was such a great husband, father and grandfather and will be dearly missed by all. I cannot believe Archie has passed away…I was talking to him at length earlier in the spring. Archie and I worked together in management for over a decade, and those were memorable days. Lorraine and I wish to convey to the family, our most sincere condolences. I want to take this opportunity to offer our condolences to all.Be strong in your memories. Betty Lou, Heidi, Kerwin, Devin and families: I am shocked to hear of Archie’s passing. Had not heard that he was sick. We spent a fair amount of time with you years ago and I always felt he was a nice man and a great family person. I am sure he has left you wonderful memories. My sincere condolences to all of you. Doris S.
So sorry for your loss. Our sincere sympathy to all the family. God bless. so sorry to hear about the passing of your father archie.heidi.keep the memories for they cannot be taken away. god bless you all. We are so sorry for your loss. Keep the memories close to your heart and be strong for one another. Our thoughts and prayers are with you all. Sorry for your loss, please take joy in the memories, sympathy to you all. My heartfelt thoughts go out to you at this difficult time. Betty Lou, Heidi, Kerwin, Devin and family, I am very sorry for your loss. He was a great friend to my dad and I know how much my dad will miss their daily “meetings”. Take comfort in the many wonderful memories you all have. Sending sincere sympathy to you at this time of great loss. I know this is hard for you, the boys and your mother, but we are thinking of you and if you need to talk, you know where to find me. So sorry for your loss. Archie was a great guy, always a smile, so pleasant. I understand how difficult this is for you and the grandchildren. Archie was a wonderful grandfather and mentor. Please know I am thinking of you all at this sad time. Betty Lou and family-We are so sorry to hear of Archie,s passing and our thoughts & prayer,s are with you all at this sad time. Lloyd & Barb . Betty Lou & family,so sorry to hear of Archie’s passing.In my thoughts & prayers. Thoughts and prayers are with you all at this most difficult time.Hugs to you all. Wayne and I are so sorry to hear of Archie’s passing. A great family man. I am sure you have many memories to help sustain you during this difficult time… Our thoughts are with you all. We are very sorry to hear about Archies passing may he rest in peace. We are thinkin of all his family at these hard times. We are in total shock on hearing of Archie’s death. Many fond memories of the hours spent with the family, back in our earlier days in Liverpool. Sincere sympathy to your family at this sad time. I recently heard that Archie was not well but it still came as a shock that he is gone so quick. I have many fond memories of our time in Kinsmen together. May your own memories help you all go forward, My thoughts are with. Dear Betty Lou, Heidi, Kerwin,Devin and families. We are so sorry to hear of Archie,s passing,he will be missed . Take care and hold your memories close. so sorry for your loss….hold on to those wonderful memories…. (have a few myself with all you guys)…..my thoughts and prayers are with you all at this difficult time. Betty Lou and family, Our thoughts and prayers go out to you at this time. We are very sorry for your loss. Heidi, Kerwin, and families, please accept my sincere sympathy. you are in my thoughts. Betty lou and family,I am so very sorry to hear about Archie.He was a wonderful person and he will be missed by everyone who knew him.My thoughts are with you. So very sorry for your loss love and prayers . God bless. To the Huskin families – Our thoughts and prayers are with you all in the loss of Archie. He will be missed by all who knew him. God Bless. To Betty-Lou and family. My heart goes out to all of you now. You have lost a wonderful husband, father and grandfather. As you walk this difficult road, may your wonderful memories with Archie ease your hearts. Hold those memories close and may knowing Archie is now free of suffering in the arms of God help in your grief. My thoughts and prayers are with you during this time of great sadness. Heidi and family….so very sorry to hear of your Dad’s passing. We know how very difficult and sad this is for all, and we are thinking of you and your family at this time. Big hugs to you and your boys. Our sympathy to Betty Lou, Heidi, Kerwin, Devin and families. We appreciate your close family connection to Archie and know that you will miss him a lot. We pray that you will be comforted, and that you will cherish good memories. Betty Lou & family We are very sorry for your loss.Keep all the happy times close to your heart. Gerry enjoyed many years working with Archie. Our deepest sympathy from us both. We were very sorry to hear of Archie’s passing. It seem like just yesterday he was looking after one of our vehicles. We spent great times together at the shop solving the problems of the world. We are so sad for your loss . Watching Archie over the years teaching the boys how to become young Men was Heart Warming. Seeing them lately taking on all those outdoor chores when Grampy couldn’t . Archie would be so proud of you. Take care of each other and hold yoour Mom close. Please take some comfort and Strength from all of us who are here always for you. God Bless and keep you strong in the days and weeks to come. I am so very sorry for your loss. My condolences to the Huskins family. Very sorry to hear of your Dad’s illness and passing. Thoughts and prayers are with you at this difficulty time. They say time will heal; cherish the memories and share them with your boys. I am so sorry to hear of Archie’s passing. My thoughts and prayers are with your family at this difficult time. Shocked and saddened by the passing of Archie. Many day’s spent in the garage while he patiently worked wonders on my various cars. Not only a great mechanic but a great brother, father and grandfather who always had time for making life better for his family. He will be missed!! We were so sorry to hear of Archie’s passing. Our thoughts are with you during this very difficult time. So sorry to hear of your loss. Sending my sincerest sympathy to you & your family,. I hope you all may be comforted by your many fond memories. God Bless. so sorry to hear i am thinking of all the family from syd. Sincere sympathy to the Huskin family for such a terrible loss.Archie will be forever remembered for his kindness,he was a wonderful man and loved his family dearly.So sorry for your loss. Our sincere condolences to the Huskins famalies. We heard of Archies illness less than a week ago, and are shocked to hear of his passing. We will miss his green truck and his wave as he passed our home on his way to his cabin. Cling to your many great memories and cherish them forever. Our thoughts and prayers are with you. Thoughts and prayers for the family at this difficult time. TO BETTY LOU AND FAMILY–SO SORRY TO HEAR THE BAD NEWS-JUST TO LET YOU KNOW ARE THOUGHTS ARE WITH YOU ALL AT THIS SAD AND DIFFICULT TIME>REMEMBER ALL THE GOOD TIMES THAT YOU HAVE SPENT TOGETHER AND SOMEHOW THEY GET YOU THROUGH ALONG WITH FAMILY AND FRIENDS. Know that you are in our hearts and thoughts as you go through this difficult time. It was a pleasure to have meet Archie last winter and we truly enjoyed the laughs that he brought along with some Tim Horton’s coffee and cheering! Our thoughts and prayers are with you at this difficult time. May you find peace within each other and remember all the good times. Heidi, Betty Lou, Kerwin, Devin and grandchildren. I am so very sorry for your loss. Archie was a wonderful man and will remain in your hearts forever. Being so far away Heidi, I did not even know your dad was sick, for that I am very sorry. I know the sadness you are feeling after just losing my Aunt who I loved very much. The next couple of days will be the hardest days ever and then you can sit back and remember all the wonderful times you had with Archie. Thinking of you all. his family and all who knew him.Please know that others care and share your grief. Thinking of during this sad time. Take care of each other and our thoughts are with you. So sorry about your dad, he will truly be missed by many people.Be strong for your mom she will need you more than ever. My thoughts are with you all. I was saddened to learn of Archie’s passing. I was immediately reminded of the Kinsmen days of the 60’s and 70’s when many young couples volunteered many hours to community service. We remember the district conventions throughout the Atlantic Provinces in which you and Archie participated. Those were the days of camaraderie, hard work and good humor. Those memories will always have the Huskins family within them. Our sympathy goes out to you and your family as you deal with your huge loss. We are saddened to hear of Archie’s passing. know that fond family memories will help ease your loss. DEAR BETTY LOU AND FAMILY. WE ARE SO SORRY TO HEAR OF ARCHIES PASSING IT WAS SUCH A SHOCK WE JUST FOUND OUT THAT HE WAS SICK.WE HAVE A LOT OF MEMORIES OF KINSMAN AND KINETTES TRIPS THE ONE THAT REALLY STANDS OUT FROM ALL THE OTHERS IS WHEN WE WENT TO WOLFVILLE AND THE FOUR OF US TRAVELLED TOGETHER WE WENT THROUGH THE DRIVE THROUGH AT BURGER KING REMEBER BETTY LOU . NOTE DO NOT LET BETTY LOU ORDER.ARCHIE LAUGHED SO HARD. HE WILL REALLY BE MISSED .HEIDI YOUR DAD WAS SUCH A NICE AND THOUGHTFULL MAN.HUGS FROM US . TO THE HUSKINS FAMILY . SORRY TO HEAR OF YOUR LOSS. ARCHIE WAS A WONDERFUL GUY . THIS ALL HAPPENED SO QUICK , IT IS HARD TO BELIEVE . HANG ON TO ALL THE GREAT MEMORIES . HE LOVED THOSE GRANDKIDS SO MUCH . OUR THOUGHTS ARE WITH ALL OF YOU IN YOUR TIME OF SORROW . SINCERELY BRENDA AND JIM. We are so sorry for the loss of your precious husband,father,grandfather and brother.May God’s comfort be with you in the difficult days ahead. You all are in our thoughts and prayers.It will be a difficult time for all of you and knowing that you are such a close family we are sure you will be able to lean on one another during this very difficult time.I know that Archie was the love of your life Betty Lou,I only wish we could be of help during this painful time. Just know that we are thinking of you as you greve for the loss of this wonderful husband,father grandfather and friend.Good memories will help at this bad time in your lives. We are so sorry to hear of your loss, your family will be in our thoughts and prayers. To BettyLou and all the Huskins family: Sincere sympathy in the passing of your dear husband, father, grandfather, brother. He will be greatly missed. May God comfort your hearts and keep you close to Him in the days to come. We are so sorry to hear of Archie’s passing…..we knew he was suffering with his diagnosis, and he sure didn’t have much warning…. It is a shock and know he wil be greatly missed by all of us…. Archie wil be remembered for his good nature, laugh, and love of life….great brother-inlaw and uncle to us….. Sorry we can not be with you on Thursday, but know you are all in our deepest thoughts…. Dear Betty Lou, Heidi, and family – I am so sorry to hear of your recent loss, and extend my sympathy to you all. Thinking of you in this sad time and wishing for you to find comfort in being together ; treasure the memories . Betty Lou, Heidi, Kerwin, Devin, and families. So sorry for your loss. Archie was a wonderful man, a great husband, father and grandfather. Over the years we have such memories of our times in Kinsmen and from times speaking at the rink. He was a great mechanic, often fixing things for us and willing to help without needing to ask. I wish to extend my heartfelt condolences to the Huskins family. Always cherish the memories and as time goes by they wil be easier to share and will be amazing stories. We all have them. God Bless you all & take solice in each other. My thought s and prayers are with you all. The first rabbit this year will be all yours. I will miss you my buddy. We’re thinking of you all and we will keep you in our prayers. so sorry to hear of Archie’s passing. He was a great guy and a great mechanic. My thoughts are with you and the family at this sad time. We are sorry to hear of Archie’s passing. Our sincere sympathy to Betty Lou, Heidi, Kerwin, Devin and their families. We were so sad to hear of Archie’s passing. He and Eric always kept our old cars on the road which we were very greatful for. He certainly will be missed. Our thoughts and prayers are with you all at this difficult time. Keep all his memories close to your heart!! Sincere condolences; our thoughts are with your family. We are thinking of you during this difficult time, hoping that your happy memories will bring you some peace as you move forward together. We were so sorry to hear about Archie. You will be in our thoughts. Hang in there! Sorry to hear of Archies passing. The crew will certainly miss his annual visits to the Ridge camp during hunting seasons. Our thoughts and prayers are with the family. So sorry to hear of your loss. We are thinking of you all during these difficult times. Our sincere sympathy for the whole family at this sad and difficult time. Comfort and support each other and hold your memories as treasures next to your heart. I was shocked & saddened to hear of his passing…know how close you were. Our thoughts are with you and your family. So incredibly sad to hear of Archie’s passing. It is always a shock to lose someone so dear, but comfort comes in knowing that he had a large, loving family around him during his short battle. The memories will always be strong, but will make the days easier as they pass….remember the good times always – they will help to get you all through this difficult time. We wanted you “all’ to know we have been thinking about you during this difficult time. Please accept our sincere sympathy. To Archie`s family……..We are so sorry to hear of his passing. Our prayers are with you during this difficult time. Sorry to hear of Archie’s passing. Our thoughts are with you at this difficult time. Our thoughts are with you and your family. Such a loss for all of you. We are so sorry for your loss. Our thoughts are with all of you. So sorry to hear of Archie’s passing. Warm thoughts and prayers are with you all during this time. Take care. Heidi and family, we are so sorry to hear of this sad news. Your family is strong and your strength will help you through this heart breaking time. Our hugs and kisses are sent to all of you. Take care of yourselves and each other. So sorry to hear of Archie’s passing. Mike always enjoyed his visits to the Ridge Camp. Our thoughts and prayers are with you during this difficult time. So shocked to hear of Archie’s passing . He will be missed by many people as well as Us. Our sincere sympathy to you and your family at this difficult time. Our prayers are with you . So sorry to hear about your Dad Heidi, hugs. Aunt Dottie told me about Archie’s passing. My thoughts and prayers are with you and the family at this time. Heidi and family, We are very sorry for your loss. Our heartfelt thoughts go out to you at this difficult time. Our thoughts go out to each and every one of you at this time. Archie was someone we would see go by everyday. He was a wonderful man and we will miss him. Our sincere sympathy to the family at this time. Was so sorry to hear the news of Archies passing. May God comfort you in your time of loss. Archie was a great guy who always had time to chat . He will be missed by many. Duncan and Goretti Mac Isaac. Betty Lou and family, So sorry for your loss. Thinking of you and your family.I have many fond memories of Archie travelling to and from hockey and trips out to the beech hill property.Great family man,hockey dad,hockey grand-dad, mechanic and so much more .He will be missed.Our sincerest condolences.